If you want to retain customers, it’s important to know their opinion about your service. Were they happy and do they want to come back? Or were they unhappy, and will be looking elsewhere? SR Smart Reviews has been giving you the opportunity to send out daily review invitation to your patients. Receiving reviews from your customers helps you improve your practice and gain great reputation through their positive reviews. When new customers see positive reviews showcasing happy patients, they will want to be part of your practice as well. Sending out surveys takes time out of your day. If you don’t have that luxury, Solutionreach now allows for patient review invitations to be automatically distributed to patients. Instead of focusing on sending out review invitations, you can now focus on giving your patients an even greater experience. Save time. Solutionreach will send online review invitations via text message to the patients who visit your office. We’ll even send it right after a patient’s visit, so the experience is still fresh on their mind. Retain existing and gain new patients. The most beneficial way to better your practice is by listening to your patients. Learn what they love about your practice and also ways to improve through suggestions you get from their reviews. Positive reviews bring your practice new patients. How can you automate Smart Reviews? 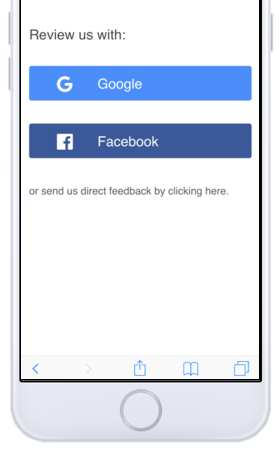 With an easy “on” button in your Smart Reviews page, Solutionreach will start sending out surveys in no time. 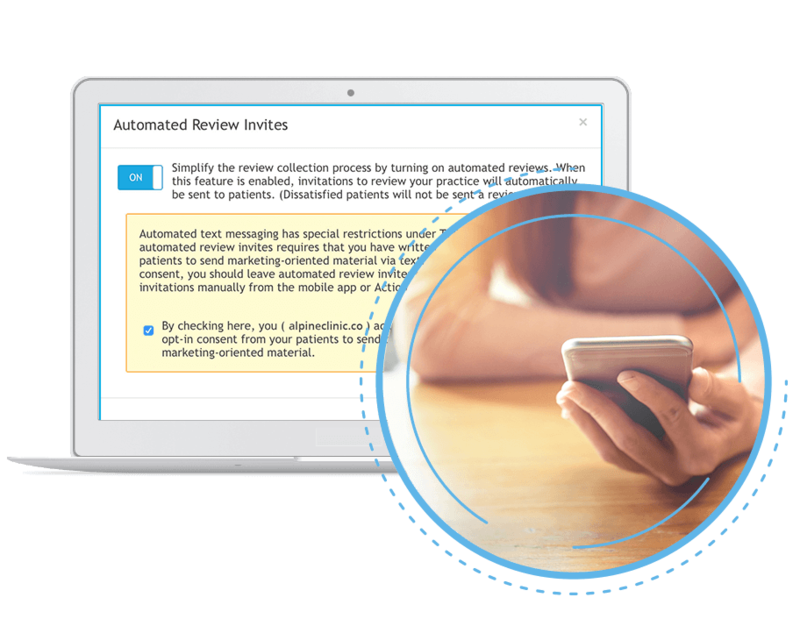 For more information on how to enable automated Smart Reviews invitations, click here.